I could ask my mom, I suppose, but detectives didn’t work like that. Ten-year-old Zac knows he has a dad – everyone has to have a dad – but he’s never met him. His nan lashes out with fury and his grandad gets real quiet every time Zac tries to talk about his dad. Most importantly, his mom (Juliet) never speaks of his dad (Liam) other than to say Liam “did a runner” before Zac was even born. Zac is on a mission, aided by his best friend Teagan, to find meet his dad and make his mom happy. Juliet is in a rut – has been in a rut – ever since that gut-wrenchingly awful day her brother (Jamie) died when Zac was just three weeks old. It was an accident – an accident that could have been prevented – but an accident nonetheless. Ever since that accident, Juliet (who’s always been a bit hefty) has thrown herself into being the best mom for Zac. She’s done her absolute best raising her son on her own – sure she indulges him here and there but honestly, he deserves a bit of sweetness in his life. And it hits me, then, that feeling I had when Laura was talking, the feeling like the incoming tornado. He’s the Fat Kid. My son, he’s the Fat Kid. Juliet, her mother and her father have each held onto a soul-crushing secret. None of their secrets are the same and the reveal of any one of these secrets could send their whole house of cards tumbling down on Zac’s head. I was completely enamored with this novel. From start to finish, I loved the characters – the way Regan told wielded the three narratives (Zac, Juliet and Mitch (Zac’s grandfather)) so expertly really made this story memorable. I absolutely adored Zac and Teagan. Regan concocted a perfect blend of sweetness, determination and troublesome kid-logic in her ten-year-olds. And I really connected with Juliet- I felt like I could sit down with her and have a cup of tea like old friends. Her insecurities, such as those concerning her son, her weight and her loneliness, made her feel far more than a character in a book – she felt real. Whatever it is, my Get Zac Happy campaign might just be working and I want to support him by setting an example, but truth is, I think I find it harder than him. 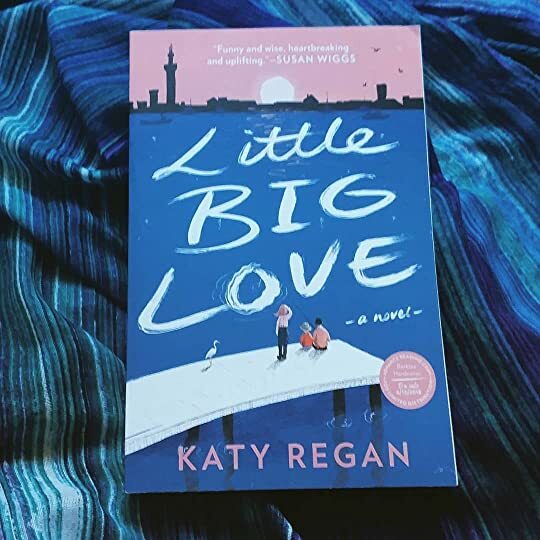 This novel had just the right doses of heartwarming and heartbreaking – if you are looking for a wonderful beach read or a book that will leave you with a smile on your face, make sure to pick this one up!